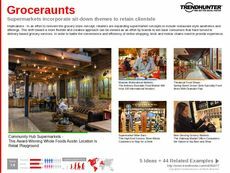 Find Better Ideas, Faster ® with a custom food service trend report, our PRO Dashboard and 80+ categories of premium trend reports. 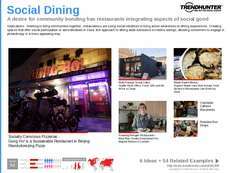 The Food Service Trend Report spotlights the latest innovations and developments in the food industry. 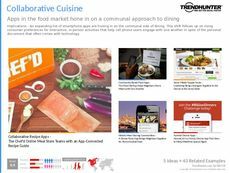 This report delves into the latest examples of pre-ordering apps, food-deliver services, upscale dining and trends in traditional sit-down restaurants. Furthermore, this report will look at broader patterns seen in the restaurant sector, built on the personalization and experiential modes. To cater to this consumer preference, it is more common to see self-ordering restaurant kiosks, interactive touch screens and personalized, build-your-own meal options. This report is catered towards professionals in the restaurant industry including QSR executives, brand managers, restaurant owners and app developers. 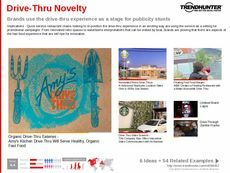 Also, marketers and advertisers will find value in this report, exposing you to food service innovations that are resonating with consumers. 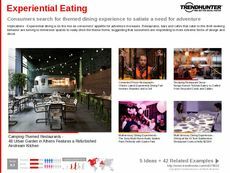 Use the Food Service Trend Report to gain a greater understanding of the ever-evolving restaurant industry, and how shifting consumer expectations and desires are incorporated in the dining experience.